Now imagine you had a website that sold sunscreen for toddlers, knew that someone was going to ask that question, and were prepared with an answer on your website to capture that customer. This scenario is on every search marketer’s mind as we enter the world of voice search. According to a Google survey in 2014 conducted by Northstar Research, 55 percent of teens and 41 percent of adults are using voice search more than once a day. More recent studies have suggested that the use of voice recognition will double in the next five years. However you look at it, it’s clear to see that the next wave of your customers will be verbally asking about your product or service offering, rather than typing into a search engine. This isn’t only a change for search marketers though, it’s also a change for search engines. While Google, Amazon, and Microsoft are enacting these changes in the market, they are also impacting the way people use their services. Google, for example, has been at the forefront of search innovation for years. This is the next logical step in Google’s evolution. Year after year Google has added and tweaked their technology to better understand what we are feeding into their engine. With voice search, they are like a little kid that has grown up and can finally understand what we say. We aren’t just entering queries and getting results back — we are having an actual conversation with something, which is equally cool and horrifying. The question still left unanswered is: How do we plan, act, and report on what people are asking their devices? From a reporting perspective, Google hinted last year that voice search reporting will be coming to search console search analytics report, though there is no timeframe on when that will actually roll out. Google and other entities actually already collect all of this data; they just haven’t figured out a way to parse the queries yet, so we could be looking at a long runway until this capability materializes. Those reports would obviously inform us on what users are asking their voice-enabled devices, but they don’t exist yet, so what do we do? A more holistic solution is for all of us to be more in tune with what our customers want and what they’re asking of us. Customer-first marketing is nothing new, but with voice search growing in popularity, anticipating our users’ wants and needs will be paramount to ensure we are answering their questions above our competitors. The real question is: How will this affect all of us moving forward and how our users interact with us? To me, those statements answer the questions above, but mainly pertain to organic search and even social. Despite Gartner’s prediction, AI will still have to find content somewhere to educate itself to interact with us in a thoughtful manner. Let’s look at how voice search will impact organic search, paid search, and social media. Organic search, by nature, shifts significantly every few years. The dawn of voice search is simply the next wave in an ocean of change. What will change here is who and what is physically looking at our content. This will be more of a shift in perception of a percentage of our audience than a shift in tactical execution. We will still need to create content, but we need to understand that a growing number of our users won’t physically read that content. Rather, they will ask their virtual assistants to mine for a solution or answer and report back to them. While this is a different way of thinking, it’s coming. We must adapt. What Strategies Win at Voice Search? From a search optimization perspective, we should all be focusing strategies around answer box results. For anyone who may not know, an answer box is a SERP feature, typically displayed above all organic results, that directly answers a search query. Most folks don’t realize that home assistants such as Google Home and the Amazon Echo pull from these results for answers to many queries. Figuring out what questions to ask and answer can be as simple as tapping into your customer service folks and seeing what’s most commonly asked. Once you know what your customers are asking, doing some research around queries that relate back to that is a thoughtful way of optimizing new and existing content. Google has patents for extracting entities from queries, returning factual answers in response to searches, and for retrieval of information to better understand how, and when, to generate an answer box — in other words, it’s at their discretion to award an answer box to a site for any given query. In this example, note how searching for [what is a content map] returns a prominent result with the specific elements in bold. Optimizing for the answer box isn’t anything out of the ordinary. Conductor (the company I work for) performed a study for answer boxes and came up with a quick procedure on how to better target them. Identify an industry query and result page that your brand would like to rank for (e.g., “What is a content map?”). The query should be inserted into a tag or header on the page you want it to appear in (title tag, H1, H2.). Page authority plays a role in getting the featured snippet, so having backlinks pointed to the page is a huge help. Search results pages in different countries can have a different featured snippet (www.google.com vs. www.google.ca). If there are steps, list all of the steps under the main subheading and identify them as “step 1”, “step 2”, etc. If there is already a featured snippet for the target query and the information is false, use the feedback link provided by Google and list the reasons that information is incorrect. Voice queries heavily lean towards the question and answer format, so capturing more of these rich results will position you well for the first years of this discipline. While the landscape will inevitably change and evolve, these practices should be viewed as foundational in nature, and a good way to secure your standing. It’s a tactical solution to an unknown quantity, and not one that will propel us forward, but rather, one that will keep us afloat. Another strategy that some folks are using to gain more market share in this area is by answering questions about their competitors. While this is no fault of anyone at StubHub, it’s an interesting look into what folks are doing these days to get ahead of their competition. This is scary for brands because if someone were to ask their Echo or Google Home device this question, TickPick would be getting credit for this and ultimately would have the opportunity to redirect that user to their service and sell them a ticket, possibly without ever knowing they were using TickPick. Most users want what they want quickly, and don’t always care about where they get it. If someone wants to buy a ticket to a Billy Joel concert and asks about StubHub’s fees before they buy, TickPick would have the opportunity to showcase lower fees (this is all hypothetical, I do not know either of these sites’ true fee structure) and get that sale, all using voice commands and a credit card they have saved into their device. Never underestimate how shady folks can be. Another common mistake in organic search must be avoided here as well, which is forgetting about the rest of our audience to chase the new trend. SEOs love shiny things. We make a beeline towards them like a moth to a flame, and it’s easy to leave our core audience behind. While 30 percent is a sizable number of folks, it’s not everyone, and you still must cater to your existing audience, not just the growing one. How do you serve an ad to someone who isn’t looking at a screen? That is a question that will ultimately haunt strategists (and Google) heading into this discipline of search. 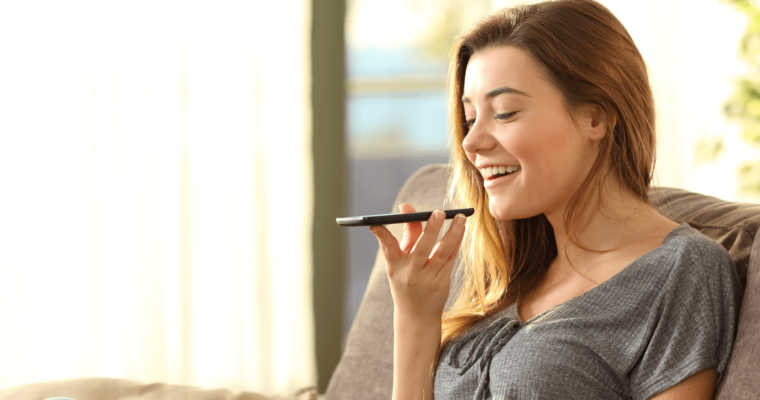 As the number of folks using voice search grows, the audience for individuals running paid campaigns will erode more than others in theory, based simply on the fact that there won’t be any screen or device to interact with, yet. The first wave of voice search is/will be mainly folks speaking to their virtual assistants. I don’t include phones in this because folks are holding the device and there is a screen involved, which is not truly voice search — that’s more dictated search. This only pertains to folks who are speaking to a device without holding it in their hands and with no screen to return results on — just two entities talking to one another like normal people and computers do. What we will most likely see during the evolution of voice search is the novelty wearing off. Like the dusty Wii sitting in the corner of your basement, users will ultimately become bored and will need something new, which will force change. I believe this change will come in the form of voice search becoming more integrated into smart devices, which have, that’s right, screens. Paid search may see a little bit of a flattening out during the initial year(s) of voice search, but ultimately it will offer new ways to advertise through people’s devices that they speak to in every corner of their lives, and I am not talking about phones. We already saw version one of augmented reality with the Google Glass experiment, and although they make folks look like a poor man’s Geordi La Forge, a device like this is a good example of how paid campaigns could be changed by voice search. We are already seeing this type of integration in Honeywell’s new Lyric Round thermostat, which connects directly with Amazon’s Alexa. While I don’t believe you are going to be seeing advertisements on your thermostat, the idea is basically the same. Voice commands will continue to become a larger part of smart devices as the internet of things (IoT) becomes more prevalent, which will lead to more devices being voice-enabled. Many of those devices will have screens and be ripe for campaign targeting, which will allow paid folks to reach new audiences outside of computers and phones — TVs, refrigerators, watches, cars, etc. You’ve all seen “Minority Report”, right? If you think we are that far away from that type of personalized advertising, you are dead wrong. Social media marketing will be affected in a similar way to SEO, with more device integration and ways to mine what customers are asking them, when that data becomes available. 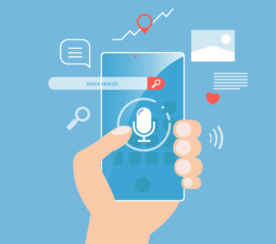 “Voice search is not only impacting SEO, but also social media, especially around how brands and marketers are developing content. Many users will tap into voice search to ask a specific question (i.e. “how do I fix a leaky faucet”, “how to make a pizza from scratch”, etc.). Brands should be keeping track of relevant queries and start to incorporate content (especially blogs and video) into their strategy that addresses these questions head on. As more users continue to leverage voice search, brands that are taking advantage of this will likely see more traffic and engagement when pushing it out through their own social channels. This type of integration would ultimately result in a boon for social networks, as it will make it even easier for users to share their lives and experiences on various platforms without having to open their apps. 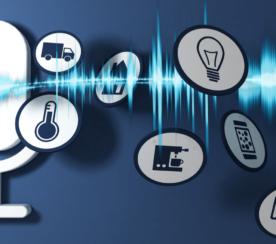 Now, going back to an earlier discussion in this article about voice search becoming integrated into more smart devices around our homes and lives, you have a situation that is very appealing to social networks. If you could simply look at something, have a picture taken, and then say “share this on Facebook”, or even “share this on all social accounts”, that would increase the number of users by quite a bit and open a new world of opportunities for marketers. Some of this technology exists but isn’t as integrated as it can and, most likely will be, in the future. Regardless of what channel you currently exist in, voice search will ultimately impact you in some way, shape, or form. Change brings windfalls for some and headwinds for others. 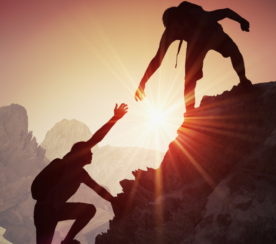 Many of the situations discussed above are real-world strategies that you can begin incorporating today, while others are a look into the future based on what we are currently seeing out in the wild. Either way, voice search is growing, and you should be talking about it.